Appointed in June, Mrs Suzanne Yule joined our staff last week for our two in-service days. Straight in at the deep-end Mrs Yule spoke to our staff regarding aspects of her remit and some biographical detail. Today she spoke at our S2 Assembly, her Year Group responsibility. Mrs Yule, who was educated and still lives in Midlothian, was formerly PT Humanities at St David’s HS in Dalkieth. In the last 2 years she has also fulfilled ‘Acting’ DHT roles in both St David’s and Penicuik High School. We are delighted that she came through a highly competitive process in May/June and is now a permanent member of our staff. Mrs Yule has a remit focused on School and Community Culture. 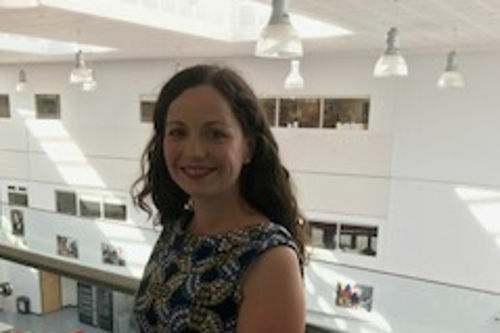 She will take a lead on, amongst other things, students behaviour and relationships as well as matters relating to student leadership and the Lasswade Centre. She will oversee the progress of S2 and is linked in with Mount Esk House.